I know it's derivative. I know that it sounds A LOT like a John Lennon solo outtake from the 1970s. I know. I know. I know. But it's also better than most of the tracks on the last 3 Oasis albums. 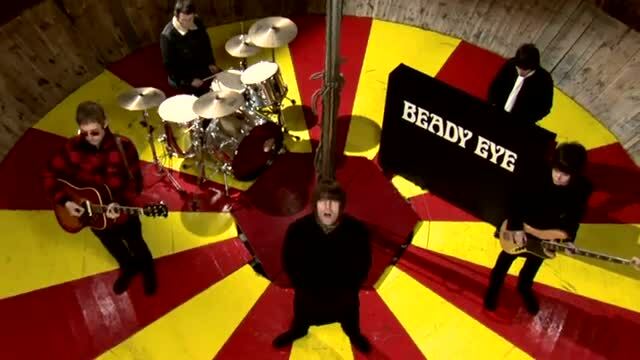 It's "The Roller" from Liam Gallagher's new band, Beady Eye. I think it's pretty clear that this Oasis fan's loyalties lie with Liam and his crew (including Gem Archer from Heavy Stereo and Oasis, as well as Andy Bell from Ride, Hurricane #1, and Oasis) more than with Noel. Check out the official Beady Eye website. The debut album will be out 1 March 2011 in the US on Dangerbird Records.